2,400 PSI Hot Water (Gas) Pressure Washer Rental – Mi-T-M – HSP-2403-3MGR, is available for rent in Rochester NY, Ithaca NY and the entire Western New York region from the Duke Company. 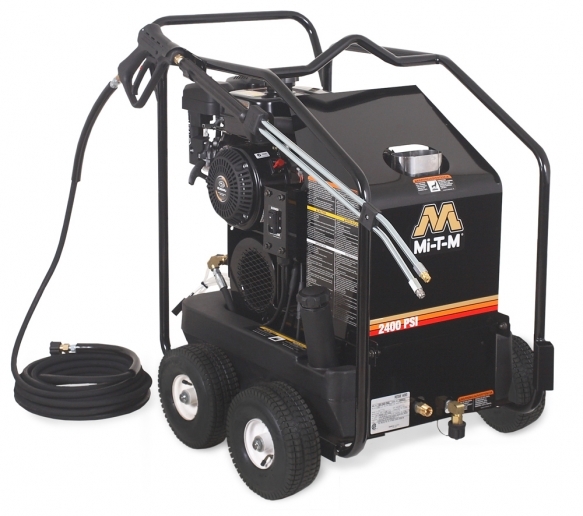 This rental Mi-T-M 2400 PSI hot-water, gas-powered, pressure washer can be rented, features adjustable pressure and a thermal release value. This powerful unit is powered by a durable Subaru OHV engine. The light-weight aluminum frame is extremely durable and features handles for lifting.